Suikerbosrand Nature Reserve is a protected area in the Suikerbosrand Range, South Africa. It is about 15 km from Ibis Nest. 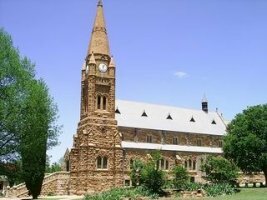 It is one of Gauteng’s premier ecotourism destinations. 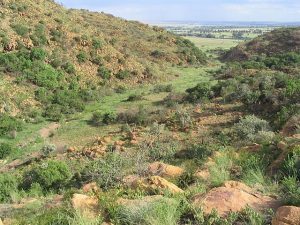 Set just a short distance from Johannesburg, an hour’s drive from Johannesburg International Airport and near the historical town of Heidelberg, this reserve boasts a representative sample of the fauna and flora of the rocky Highveld grassland biome. With 134 km2 (52 sq mi) of unspoiled natural environment and a mountain range characterised by meandering twists and turns of hiking trails, the reserve offers an unbelievably refreshing break from the bustling city life. Here, the altitude varies between 1,545 and 1,917 m (5,069 and 6,289 ft) above sea level. The Suikerbosrand ridge and consequently the reserve’s name comes from characteristic Transvaal-sugar bush (Protea caffra), a dominant vegetation type within the area’s limits. Over 200 bird species have been identified in the reserve. For the game enthusiast, the reserve also offers a large range of mammal species. The reserve is popular amongst mountain bikers and road cyclists for its quiet roads and trails, beautiful scenery, brutally steep climbs, and fast twisting descents. 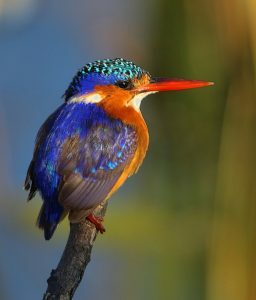 To the east of Johannesburg, just outside the small town of Nigel, is one of the most popular attractions in Gauteng, Marievale Bird Sanctuary. Approximately 1 000ha in extent, the sanctuary supports more than 240 bird species, among them 65 waterbird species, including large populations of Reed Cormorant, Red-knobbed Coot and Yellow-billed Duck. The sanctuary is also one of the best locations in Gauteng to see Goliath, Black, Squacco and Purple herons. Although the construction of roads, railways, pipelines and power lines in the area has reduced the floodplain to small dams, waterbirds still favour Marievale as a feeding and breeding place. Habitats of the sanctuary include shallow open water, reedbeds and grassland, so the variety of birds is immense. If you are an experienced birder with a bit of luck you may even find Marsh Owl, African Grass-Owl, Red-chested Flufftail, Curlew Sandpiper, Sand Martin, Caspian Tern, Baillon’s Crake, Black-winged Pratincole or even Black-tailed Godwit. Other recently spotted birds include the Slaty Egret, Yellow Wagtail, as well as Baird’s, Pectoral and Buff-breasted sandpipers. Along with the five hides overlooking four pans, there is a braai and picnic spot with ablution facilities. To maximise your stay, you can overnight in the reserve in one of the two chalets which can be booked through the Suikerbosrand Nature Reserve. 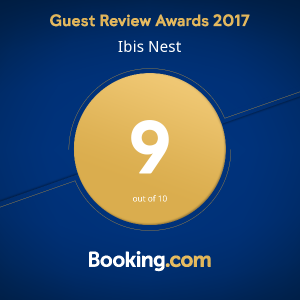 While a visit to the sanctuary is worthwhile at any time of year, birding organisations say the best time to visit is at the beginning of summer, when the grass is short and the birds are breeding. Carnaval City is about 40km from to Ibis Nest. Here you can experience the casino’s slot machines, live shows, restaurants and other entertainment. 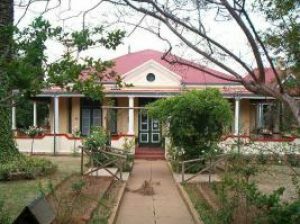 The country town of Heidelberg, situated only 75 km from Oliver Tambo Airport, was established by Heinrich Ueckermann when he bought a part of the farm Langlaagte and started a general dealer in 1861. The actual development of the town started in 1865 and he named the town after his alma mater in Germany. The town survived the First and Second Wars of Independence and today there are still many buildings dating back to the period between 1890 to 1910 that have been preserved. 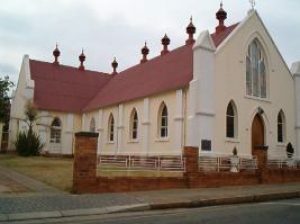 Historical attractions include the AG Visser House built in 1890, the Diepkloof Farm Museum, The Town Hall, the Old Jail, the church widely known as the old Klipkerk after its beautiful stone construction and The Bakoond Historical Monument where the Boers built a bakoond over the fountain to safeguard their water-supply. 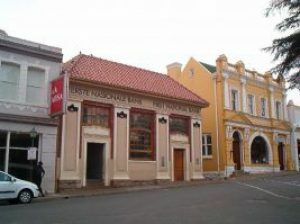 The town boasts intriguing shops – from antique shops to a jewellery factory and an old fashioned sweets shop named “Diamante en Goud”. Seasonal evening markets are also held here.